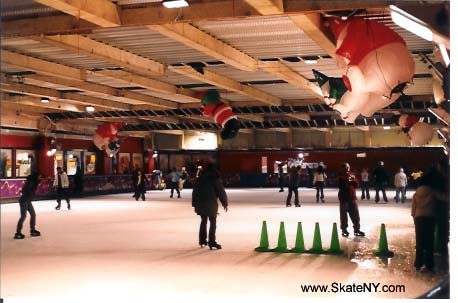 Indoors, open year-round, in a building that also houses a bowling alley and other amusements. A fairly regular size hockey rink. During our session, conditions could have been better - there were wet spots on the ice, although the air temperature was comfortable with a jacket. There were no ice marshalls, so the situation was a bit chaotic with skaters skating in any direction they chose. 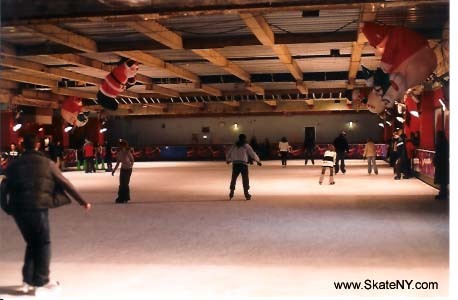 The website says that a recent refurbishment has been done and that "Queens is now the only ice rink in Europe to encompass climate control and special affect lighting." Skate rental is available and now included in the admission price. Lockers are available for £1. A convenient way of getting to the rink is to take the "tube" - the Central line to Queensway or the District & Circle line to Bayswater. The rink is between the two stations, within easy walking distance. The neighborhood has a lot of reasonably priced restaurants and touristy stores, among other things. 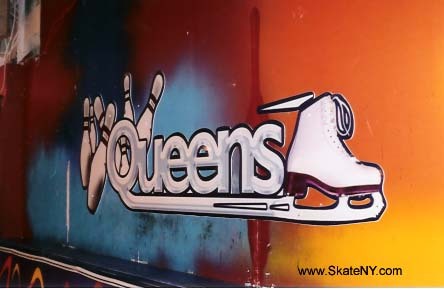 See the Queens Ice and Bowl web site for more information. Last updated Apr 18, 2006.